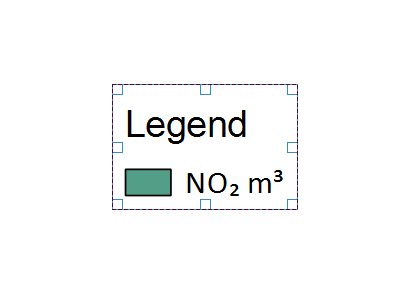 Is it possible to include subscript and superscript text in the title of a legend item in QGIS ? I have tried using <sub>some text</sub> but this just appears in the title with no change to the contents. The superscript is not a big issue, as I can use the character map to get a 3, but I don't know how to get the subscript. However, subscripts are supported only in some fonts. You can refer to this link to know which fonts support subscript. Superscript are already supported in character map, so I think you already solved this issue. In the Font list, type or select the font you want to use (in this example I used Calibri font). Click the subscript (number 2) you want to insert into the legend. Click Select, and then click Copy. Open your QGIS go to legend item and position the cursor where you want the subscript (number 2) to appear, then paste. Dealing recently with this issue I have found very helpful website Tiny Text Generator - you simply write there number/text and it translates it to small caps, superscript and subscript. You can simply copy / paste into QGIS characters like ᵗʰ or ¹ ² ³ ⁴ ⁵ ⁶ ⁷ ⁸ ⁹ ⁰ or ₁ ₂ ₃ ₄ ₅ ₆ ₇ ₈ ₉ ₀ - if your character is one of mentioned you can actually copy it straight from this answer into QGIS. Not the answer you're looking for? Browse other questions tagged qgis labeling legend or ask your own question. 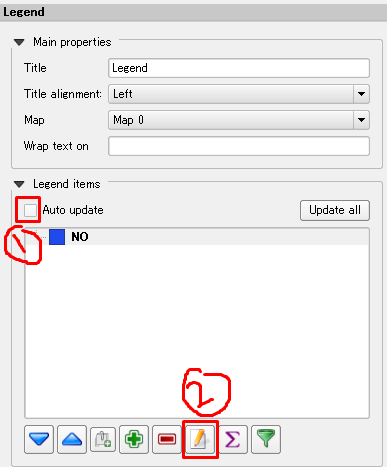 How to align QGIS legend items to the right? How to make the text color changing within a label in QGIS? Wrapping layer names or headings in ArcMap legend?